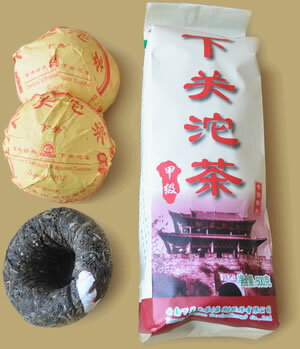 Tuocha is one of the oldest tea products in Yunnna, it has been more than one hundred years since this bowl-shaped tea was first successfully produced in 1902 by Xiaguan "Yong Chang Xiang" company. Xiaguan Tea Factory produced this Jia Ji Tuocha since the establishment of the Factory in 1941, they selected high quality tea leaves to produce this tea by traditional combine with scientific processing method. 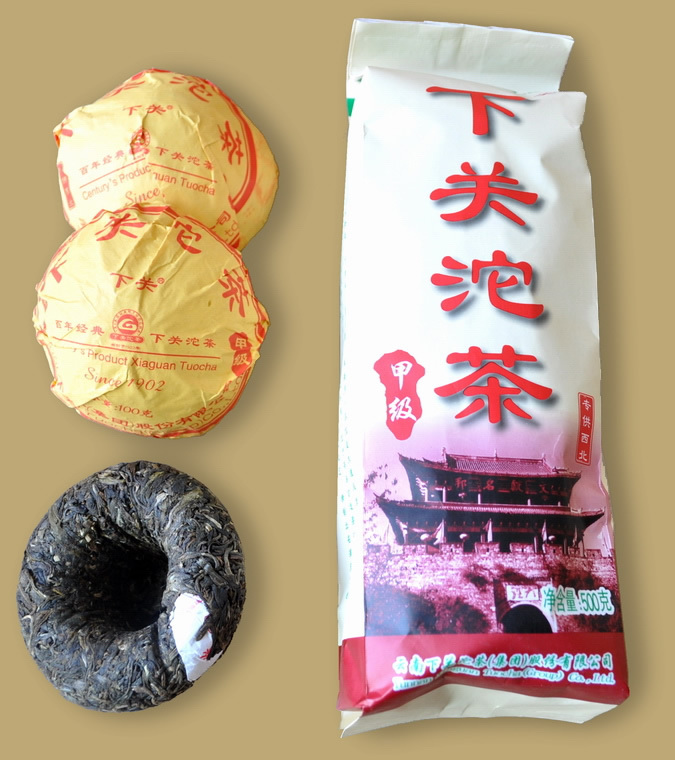 The tea won prize again and again for its fine quality in China, now it is regarded as the standards of perfection for raw Pu-erh Tuocha. 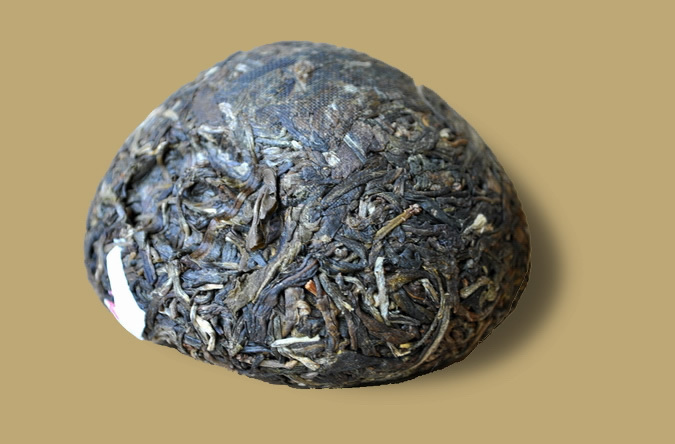 In 2009 most Xiaguan's products were sent to Guangzhou, this Jia Ji Tuocha produced specifically for northwest market, it is a wonderful tea you will enjoy.